Home › Harbour Tug › Stan Tug › Stan Tug 2608 › Stan Tug 2608 "BAT"
Italian maritime service provider Ocean S.r.l. has welcomed its first Damen tug – a Stan Tug 2608 – into its fleet. The company, part of Ocean-Team Group, will deploy the vessel in harbor towage operations in the ports of Monfalcone and Porto Nogaro in the northern reaches of the Adriatic Sea. 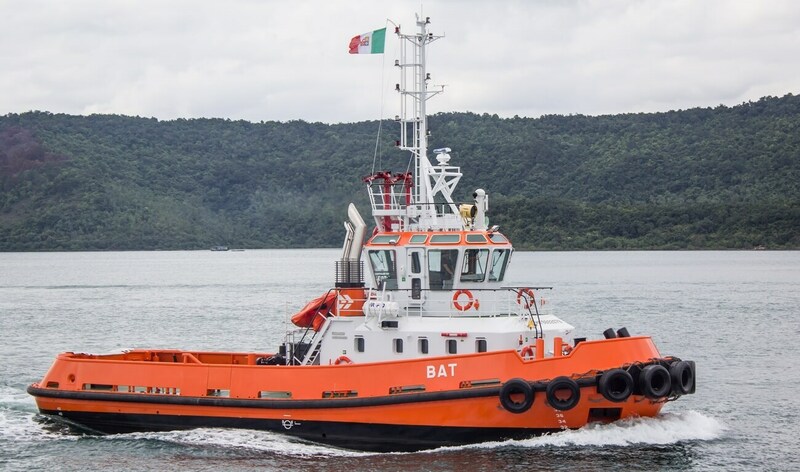 The new tug, called Bat, will strengthen Ocean’s capacity in the compact confines of the port of Monfalcone. The 26-metre long vessel’s 45 tonne bollard pull has been supplemented with an aft winch to allow operations over the stern as well as over the bow. Further modifications include installation of FiFi equipment (600 m3 capacity), towing pins and adjustments required for Italian Flag compliance.